This building was the Corn Exchange and was built in 1862 and was designed by Thomas Nicholson. 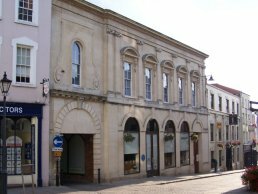 From the first day the Corn Exchange opened the first floor was always associated with entertainment. Regular events were held like cabaret, bands, poetry readings, opera, plays and roller-skating, which were all the fashion in the town. 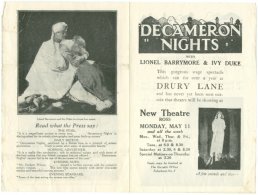 In 1922, the hall was granted a license to be a cinema and took the name 'The New Theatre'. It was destroyed in 1939 due to fire. 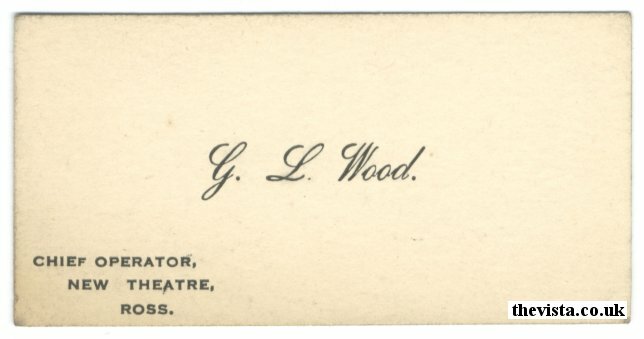 This is the card of G. L. Wood who was the Chief Operator at the New Theatre, Ross. This is an example of a show that was held in The New Theatre on Monday May 11th and all that week. 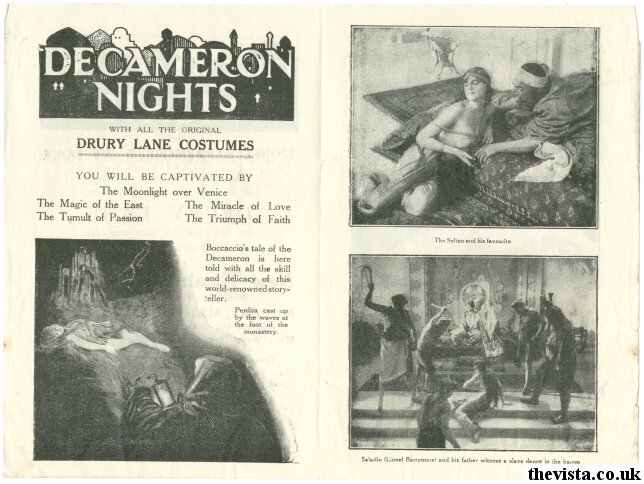 This gorgeous stage spectacle which ran forover a year at Drury Lane and has never yet been seen outside that theatre will be showing at New Theatre Ross.